A Buying agent works solely for the buyer, providing guidance from start to finish, from identifying the correct location and property for you to handling complex negotiations. We are there to work for you and look after your best interests. Searching for a Property can be time consuming and take a great deal of energy and money if you don’t live locally or know the local area. 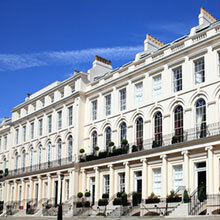 As property search agents we can help you select the right property and location. We will carry out initial viewings on the clients behalf ensuring that you only view properties that we think that match your criteria. It doesn’t matter how strong the property market is, even when the market is slow, the best property will sell fast, and hold it’s value. We are able to help you with this and carry out negotiations to achieve the right price in the current market. Our goal is for you to find the very best property matching your budget and requirements, at the best price we can achieve. Upon finding the home you would like to buy, we will help you negotiate with agent/ vendor to ensure you pay the best possible price. Often with higher end properties they are not yet on the market. We have access to contacts that can assist us with gaining information and market knowledge about such properties meaning they are available to our clients.